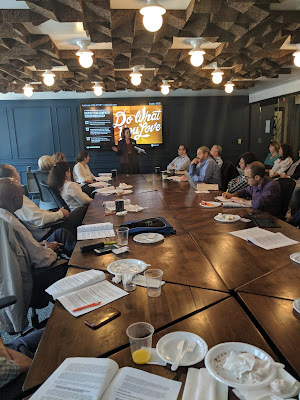 On June 20, 2018, Michelle Itkowitz delivered an interactive lecture at a LNY Meetup, entitled "A Landlord’s Right to Access a Tenant’s Apartment in Emergencies and for Repairs and The Laws Regarding Keys and Key Fob Systems - Laws and Best Practices". This program came with a twenty-page booklet. Here is a link to the full materials. In this section, we explore the basic rules about an owner’s right to access a residential apartment in a multiple dwelling (a building with three or more units). "(a)(1) Owner to give notice. Where an owner or his or her representative seeks access to a dwelling unit, suite of rooms or to a room, under the provisions of §27-2008 in order to make an inspection for the purpose of determining whether such places are in compliance with the provisions of the multiple dwelling law or the administrative code, such owner or representative shall notify the tenants not less than twenty-four hours in advance of such time of inspection. (2) Where an owner or his or her representative seeks access to make improvements required by law or to make repairs to a dwelling unit, suite of rooms or to a room, such owner or representative shall give written notice to the tenant not less than one week in advance of the time when the improvements or repairs are to be started, except where otherwise provided in paragraph (3) of this subdivision. (ii) in the case of an emergency where repairs are immediately necessary to prevent damage to property or to prevent injury to persons, such as repairs of leaking gas piping or appliances, leaking water piping, stopped-up or defective drains, leaking roofs, or broken and dangerous ceiling conditions,such owner or representative shall not be required to provide written advance notice, but shall be required to notify the tenant or tenants by such actions as telephone, email, or by knocking on the occupant’s door at a reasonable time when he or she would be expected to be present. (4) Where an owner or his or her representative must make a repair in a public area or other area of a dwelling that may result in an interruption of essential services such as utilities (heat, hot water, cold water, gas, electricity, or elevator) that is expected to continue for more than two hours, the owner or his or her representative shall provide written notice to the tenants by posting a notice in a prominent place within the public part of the building and on each floor of such building at least twenty-four hours prior to such interruption. However, if such interruption is not expected to continue for more than two hours or is due to emergency repairs that were not anticipated and must begin immediately, advance notice is not required, provided that notice shall be posted as soon as possible if such work continues for two or more hours. Such notice shall identify the service to be interrupted, the type of work to be performed, the expected start and end dates of the service interruption, and shall be updated as necessary. Such notice shall be provided in English, Spanish, and such other language as the owner deems necessary to adequately provide notice to the tenants. Such notice shall remain posted until the interruption of essential services interruption ends. A sample notification form is provided in these rules. (b) Notices to be in writing. Where an owner is required to give notice in advance of seeking access to a dwelling unit, suite of rooms or to a room, as required by subdivision (a) of this section, such notice shall be in writing, dated, and shall contain a statement of the nature of the improvement or repairs to be made, unless specifically stated otherwise in these rules. (c) Authorization to be in writing. Where a representative of an owner seeks access to a dwelling unit, suite of rooms, or rooms, the authorization of the owner shall be in writing and the representative shall exhibit such authorization to the tenant when access is requested. (d) Hours when access to be permitted. Except as provided in paragraph (3) of subdivision (a) of this section, access to a dwelling unit, suite of rooms, or rooms, shall be limited to the hours between nine antemeridian and five post-meridian, unless otherwise agreed to by the tenant. Access shall not be required on Saturdays, Sundays or legal holidays, unless otherwise agreed to by the tenant, except as provided in paragraph (3) of subdivision (a) of this section." I put the full text of long statutes in my materials when I think they are very important and that people – both real estate professionals and tenants – should read them. Sorry, the law is words, not emojis. In any event, now let us unpack this important statute. The statute anticipates three different types of access. First, it talks about access for inspections, which require twenty-four hours’ notice. Second, it talks about access for repairs, which requires a week’s notice. The notice called for is very specific. The notice must be “in writing, dated, and shall contain a statement of the nature of the improvement or repairs to be made…”. The hours access are permitted are between 9:00 am and 5:00 pm on weekdays, excluding holidays. Also, any representative of an owner needs to be able, upon demand by the tenant, to exhibit an authorization by owner, authorize their access. "RSC § 2524.3. Proceedings for eviction--wrongful acts of tenant. (e) The tenant has unreasonably refused the owner access to the housing accommodation for the purpose of making necessary repairs or improvements required by law or authorized by the DHCR, or for the purpose of inspection or showing the housing accommodation to a prospective purchaser, mortgagee or prospective mortgagee, or other person having a legitimate interest therein; provided, however, that in the latter event such refusal shall not be a ground for removal or eviction unless the tenant shall have been given at least five days' notice of the inspection or showing, to be arranged at the mutual convenience of the tenant and owner so as to enable the tenant to be present at the inspection or showing, and that such inspection or showing of the housing accommodation is not contrary to the provisions of the tenant's lease or rental agreement. If the notice of inspection or showing is served by mail, then the tenant shall be allowed five additional days to comply, for a total of 10 days because of service by mail, before such tenant's refusal to allow the owner access shall become a ground for removal or eviction." Of course, a lease can always make those requirements more stringent, so check your leases. D. Going into a Tenant’s Apartment without Tenant’s Consent – Just Don’t. There is always a risk when you enter an apartment without the tenant’s consent. If the tenant is not there, the tenant could say that your vendor took his original Picasso (I am not being facetious; I have actually know tenants who kept original Picassos in their apartments). Landlords – put yourself in tenant’s position here. Imagine the shock of a stranger opening the door to your home? Under such circumstances, it is not hard to imagine all kinds of bad consequences. My sincere advice to landlords, after many years in this business, is to never enter an apartment without a tenant’s consent unless there is a serious emergency. A Rent Stabilized tenant’s unreasonable refusal to permit the landlord access to the unit to make necessary repairs or improvements required by law, or to show the unit to prospective purchasers or mortgagees, is a ground for termination. If tenant fails or refuses to provide access, then depending on the terms of the parties’ lease agreement, the landlord may need to serve a ten-day written notice to cure the violation. If the breach continues thereafter, the landlord may issue a termination notice at least seven calendar days prior to the intended termination date. Upon the expiration of the termination notice, Landlord can then bring a summary holdover proceeding against tenant in Housing Court. As a practical matter, most such holdovers end with tenant stipulating to provide access, under the scrutiny of the Housing Court judge. If tenant defaults under such stipulation, the stipulation should provide for the case to be restored to the court’s calendar for further relief. The concept of “Access” becomes a big deal in Housing Court – both in residential nonpayment proceedings (where the tenant claims not to be paying the rent due to warranty of habitability issues) and in Housing Part “HP” Proceedings (where the tenant is taking the landlord in to court to get repairs). Landlords must understand the importance of keeping and documenting the circumstances of appointments for access to repair bad conditions in an apartment. Here are some tips for documenting attempts at access. Please feel free to add more during the presentation! If there is an online system for tenants to request repairs and the landlord to arrange access and dispatch repair people, then use the system carefully and make sure you keep all the records created by the system. Send letters, certified letters, and/or emails to tenant requesting access as per the above statute; and affix a copy of the request on the door in a sealed envelope and take a picture of the letter taped to the door. Document all your attempts to get in. Take pictures or video of the failed attempts at access. Save contractor receipts that show the attempts as well. If the matter is very contentious, have your lawyer contemporaneously prepare an affidavit for the super and/or vendor to sign regarding their attempts to gain access. I get asked often about two excuses for tenants not wanting to allow access, and neither reason is legitimate. Sometimes tenant says, “I’ll do the repairs myself and bill you.” Tenant cannot do her own repairs and bill the landlord. The authority for this comes from the contract between the landlord and the tenant – the lease. Most leases will say that tenant cannot build in, add to, change or alter the Apartment in any way. The above rule might not hold true, however, if landlord refuses to do required work in the apartment. A leading case here is Mengoni v. Passy, 254 AD2d 203 [1st Dept 1998]. In this case, the landlord brought an action seeking to evict rent controlled tenant, based on tenant’s replacement of kitchen and bathroom appliances and fixtures without landlord’s prior consent. The Civil Court, New York County dismissed the petition and awarded tenant punitive damages. The landlord appealed. The appellate court held that tenant’s actions did not constitute substantial breach of no alterations clause of lease because landlord failed to respond to tenant’s repeated complaints and demands to have items fixed, warranting tenant’s actions. Sometimes tenant says, “I need to see the contractor’s license and/or Identification.” I cannot find any authority that gives tenant a right to ask for a contractor’s license before allowing them to enter the apartment. In fact, I found a DHCR proceeding where a tenant was not allowed to challenge repairs that the landlord did on the basis that the contractor was unlicensed. In The Matter of the Administrative Appeal of Joann Brown; DHCR Admin. Rev. Dckt. No. PK210080RT (3/12/02); LVT Number: 15801. 9 NYCRR § 2524.3(a); B.A. Associates Equities Corp. v. Baez, NYLJ, Jan. 6, 1993, p. 25, col. 2 [Civ. Ct., Kings County].